Melbourne Marriage Officiant? Get married in Melbourne promptly. And at the lowest possible price. 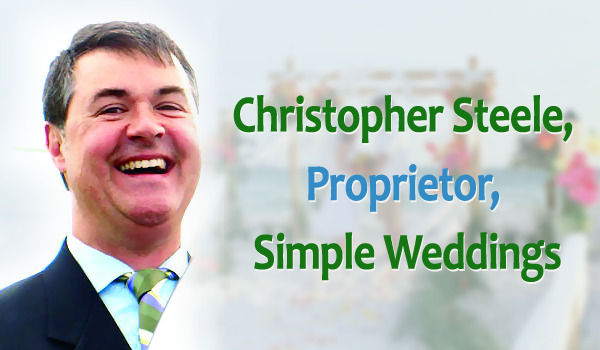 Melbourne Marriage Officiant Simple Weddings provides Australia’s best value Wednesday weddings. That means the best price, combined with unmatched fast service. As a Civil Marriage Officiant with over 11 years experience, Simple Weddings understands that many couples simply want to get married. They want to marry as quickly and inexpensively as possible. It makes perfect sense. After all, the “being married” part of marriage is more important than the “getting married” part. And, you would no doubt agree, there are other things in life competing for your hard earned money. Like a house deposit, or paying off the mortgage. Or education, or household expenses. Not to mention the kids! For these reasons, Simple Weddings charges less than anyone else. Other Melbourne marriage officiants simply can’t compete! In fact, Marriage Officiants Australia wide know this: They know that Simple Weddings – Certified Marriage Officiant provides absolutely unbeatable value. If you’re looking for an Licensed Marriage Officiant, perhaps you’ve spent hours scrolling through a list of Online Marriage Officiants? Perhaps you were looking for Registered Marriage Officiants and hoping to find the Best Marriage Officiant. Let’s face it, to find a marriage ceremony officiant who is affordable and fast, is not that easy. Most charge like wounded steers! Why Trawl Any Longer Through the Marriage Celebrant Register? Instead, simply Hire Marriage Officiant service Simple Weddings. As a resulte you’ll have chosen a friendly marriage officiant, a professional marriage officiant and quite possibly the best marriage officiant in Melbourne. There’s no reason to look any further. In fact, Marriage Officiants Victoria-wide admit, that for a Marriage Officiant Melbourne loves, here’s the thing: You’d be hard pressed to find a better nonreligious marriage officiant than Simple Weddings. Simply provide your contact details to your right and Simple Weddings will get in touch to arrange everything. Promptly, easily and at Australia’s best price. Get in touch with Simple Weddings now and have a relaxing, affordable wedding.